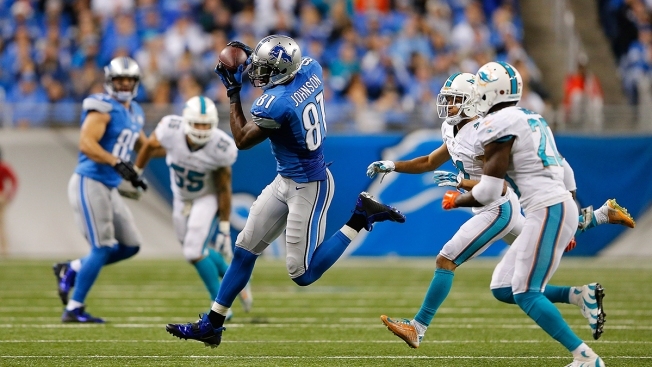 The Patriots are tasked with slowing Lions WR Calvin Johnson and DT Ndamukong Suh. The Patriots are a long way from that 41-14 late September blowout at the hands of the Chiefs. The offensive line has gelled, Tom Brady is back to being, well, Tom Brady, Jonas Gray has emerged as a legit threat in the backfield, and the defense has put the clamps on some pretty good opponents, including Peyton Manning and Andrew Luck. But the tasks don't get any easier down the home stretch as New England tries to hold onto one of the top two spots in the AFC and the first-round bye that comes with it. Next up: The Lions. Specifically, wide receiver Calvin Johnson and defensive tackle Ndamukong Suh. And like Johnson and Tate, the Lions' defensive line has plenty of playmakers, which means the Pats can't just focus in on Suh. “(Suh) definitely creates some opportunities for some other guys in there,” coach Bill Belichick said. “But that’s a good defense with guys like (Ziggy) Ansah and (Jason) Jones, and (C.J.) Mosley has done a good job for (Nick) Fairley. All those guys are hard to handle -- (George) Johnson -- they roll them all through there. “They do a good job with their pressure defenses, bringing linebackers and secondary guys. They do enough to keep you off balance and there’s enough movement up front that you can’t really count on everybody being right where they are when the ball will snap. Sometimes they are, but sometimes they’re not." The Patriots host the Lions this Sunday. Kickoff is at 1 p.m. ET.